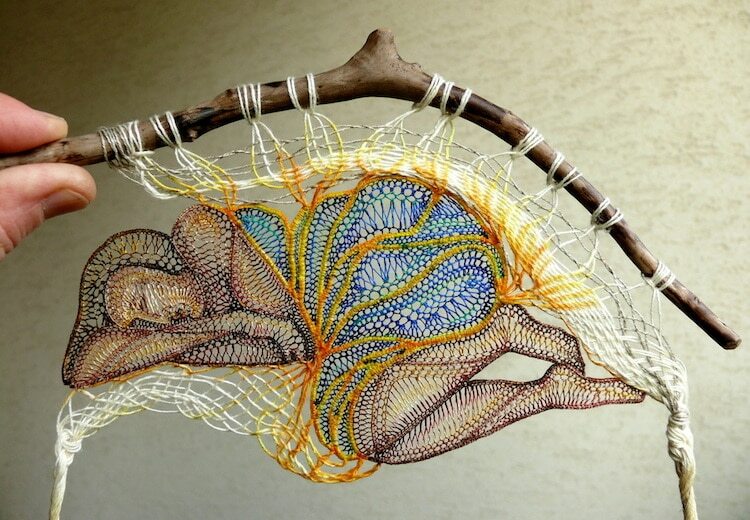 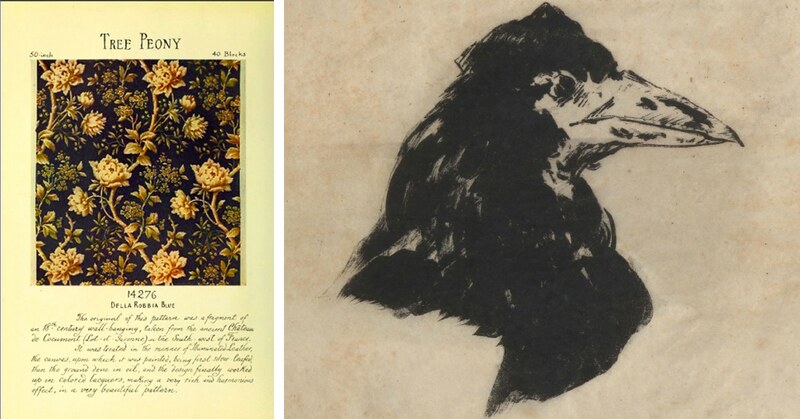 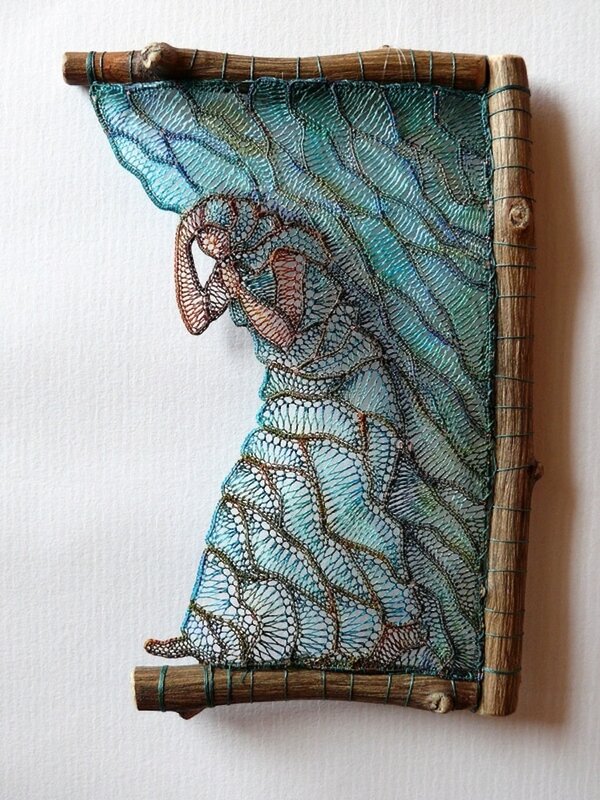 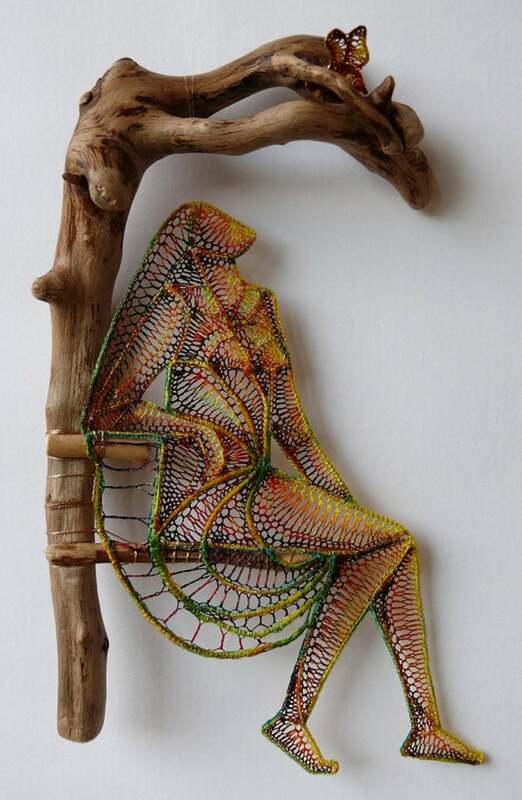 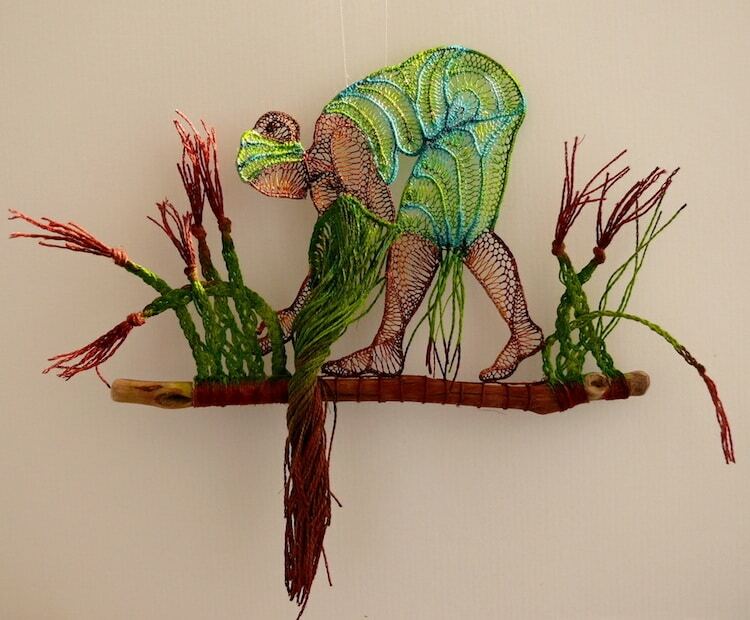 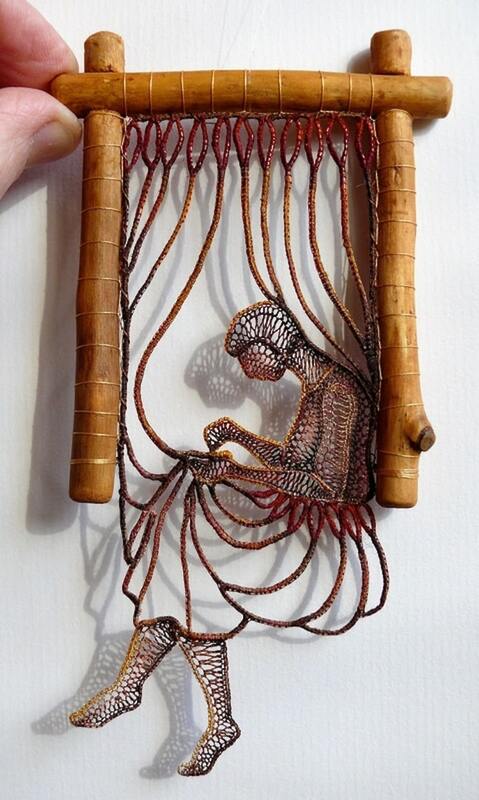 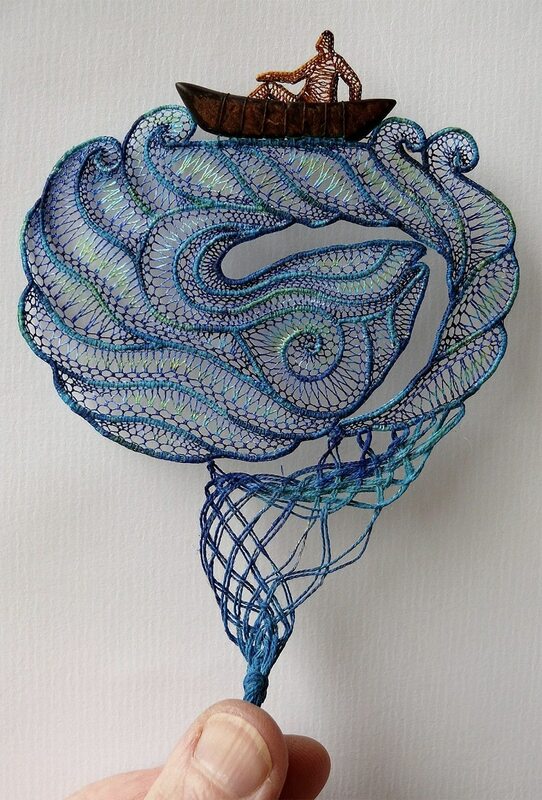 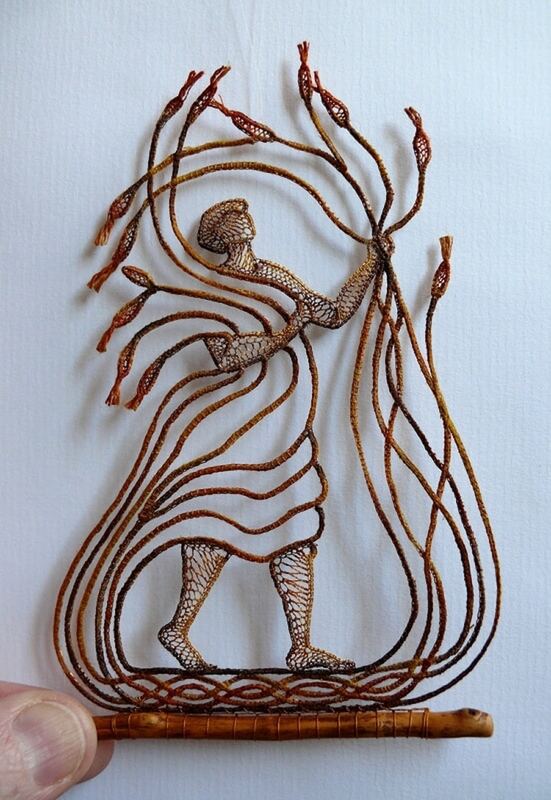 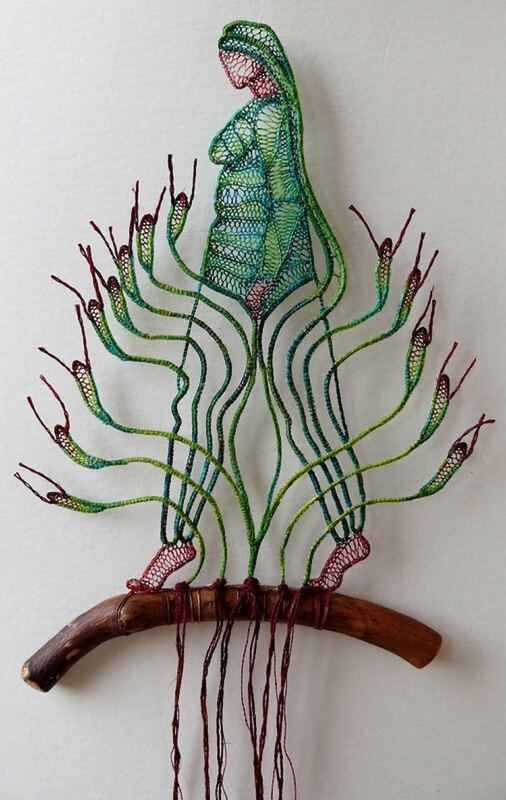 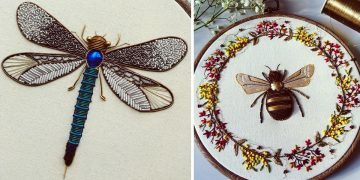 Artist Agnes Herczeg uses lace to create figural works of female forms, capturing figures in moments of contemplation or work. 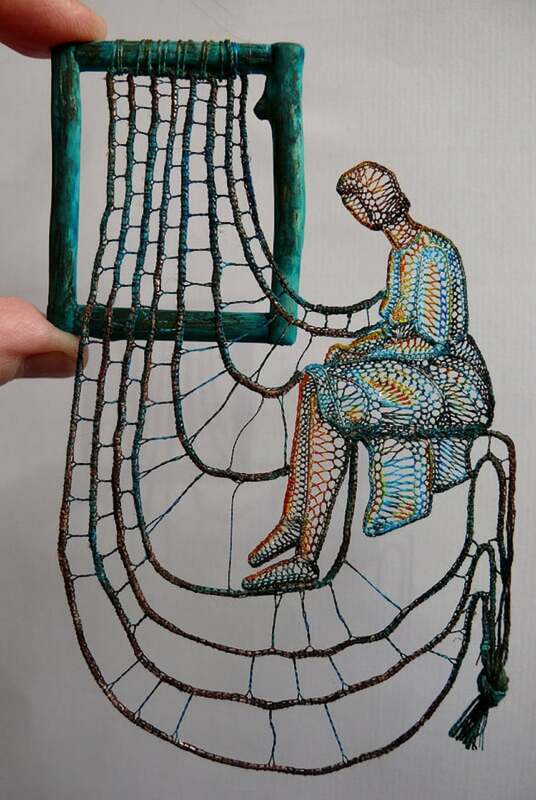 In one piece the subject stands at a loom, appearing to weave herself from the included fibers. 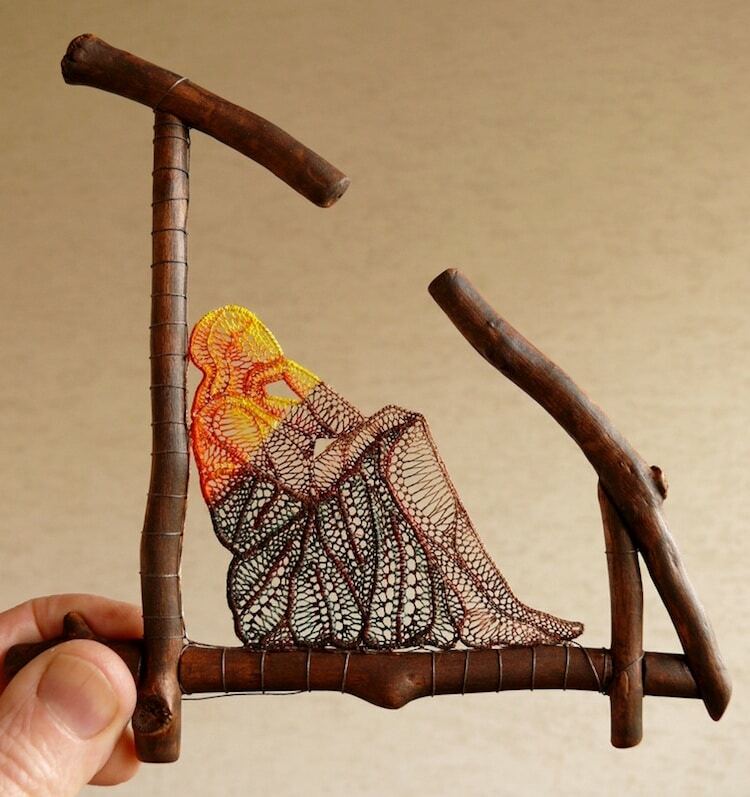 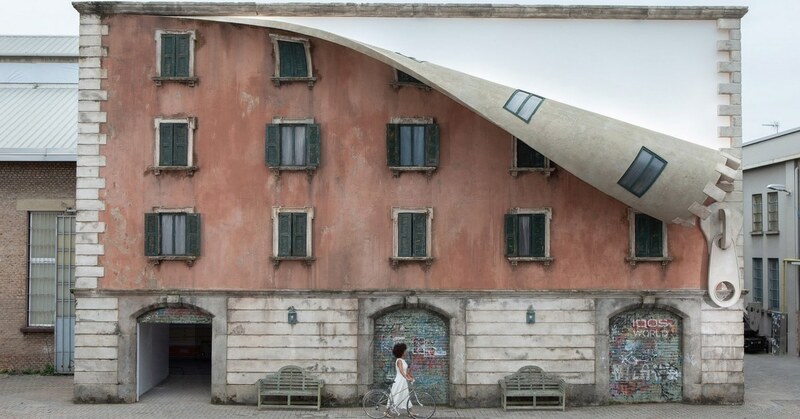 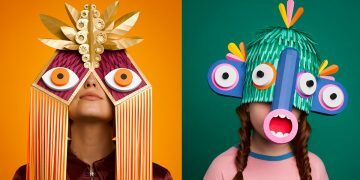 All of Herczeg’s works uses all natural materials, incorporating small pieces of wood or other found materials to serve as a sculpture’s bed frame, hair accessory, floating vessel, or small shelf.